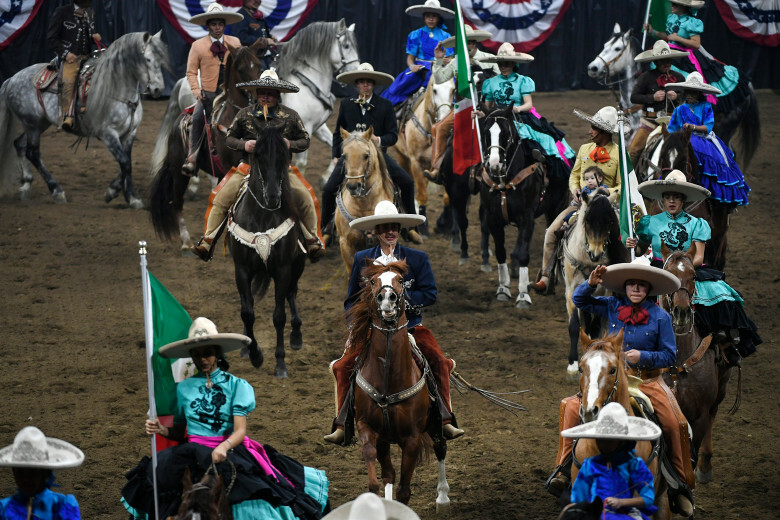 Yes, it's that time of year again - this past Friday, long horn cattle, cowboys, cowgirls, horses, wagons, and stagecoaches paraded in downtown Denver, Colorado to announce the annual opening of the National Western Stock Show. 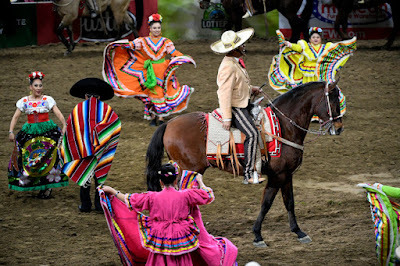 The NWSS actually began on Saturday, 6 January, and will close up on Sunday, 21 January. 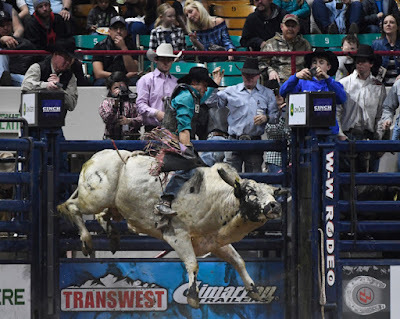 Opening day saw a record attendance of 52, 696. Besides cattle and llama judging, the first days of the show included the Mexican Rodeo Extravaganza, the Invitational Free-Style Reining championship, and a Fiddle-Playing championship. This week, almost nightly, the arena will be filled with bull-riding contestants. 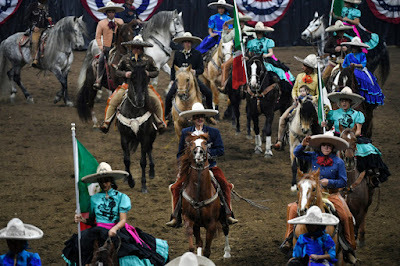 Evening events, for which special tickets must be purchased, include the Pro Rodeo, Bull Riding, the Wild West Show, the Martin Luther King Jr African-American Heritage Rodeo, Xtreme Dogs, the Gambler's Choice Jumper Stake, the $40,000 Grand Prix Jumping show, and two evening so dressage with Dancing Horses shows. 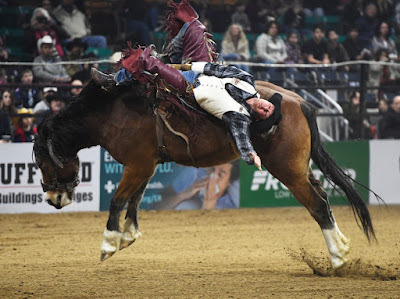 In the equine areas, there will be certified classes for Quarter Horses and Paints; US Equestrian Federation Hunters and Jumpers; Reined Cow Horses; Working Ranch Horses; Draft Horses; and registered Mules and Donkeys. 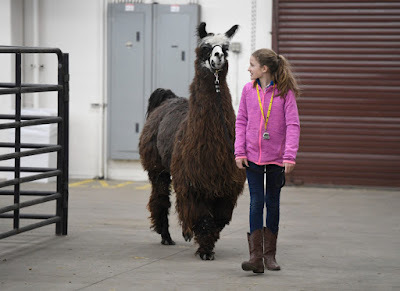 The livestock classes and judging are broken down into breeds (of course) but they include cattle, yaks, llamas, alpacas, goats, lambs, sheep, swine (hogs and pigs), bison, and a huge variety of poultry. There will be Stock Dog trials; and dog pulling trials. And one can't forget the awesome strength to be seen in the draft horse pulling trials. Go to the National Western Stock Show - and enjoy!